Old Testament Take-Home Books that Move! 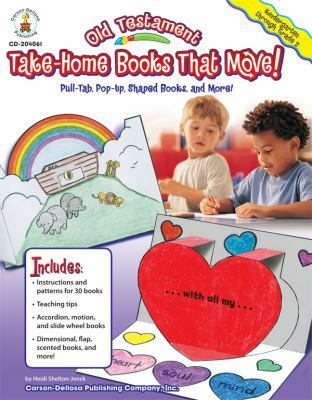 Shelton-Jenck, Heidi is the author of 'Old Testament Take-Home Books that Move! ', published 2008 under ISBN 9781600225154 and ISBN 1600225152. Loading marketplace prices 4 copies from $5.00 How does the rental process work?